The Museum consists of two parts. The author's house and newly built museum, opend on the 1st of November, 2001. You can walk around the garden and see the author's study from outside. The author worked here until his death, on Feb 12th, 1996. You proceed to the new part through the curving glass corridor. Inside, at first glance you will be fascinated by the huge bookshelf (11meters high) with 20,000 books. You are able to view these books the author wrote including about 500 historical novels, essays, critical essays and many other works. We regard this area as "his other study". Please sit on the chair looking up at the wall of books and feel the author's spirit. 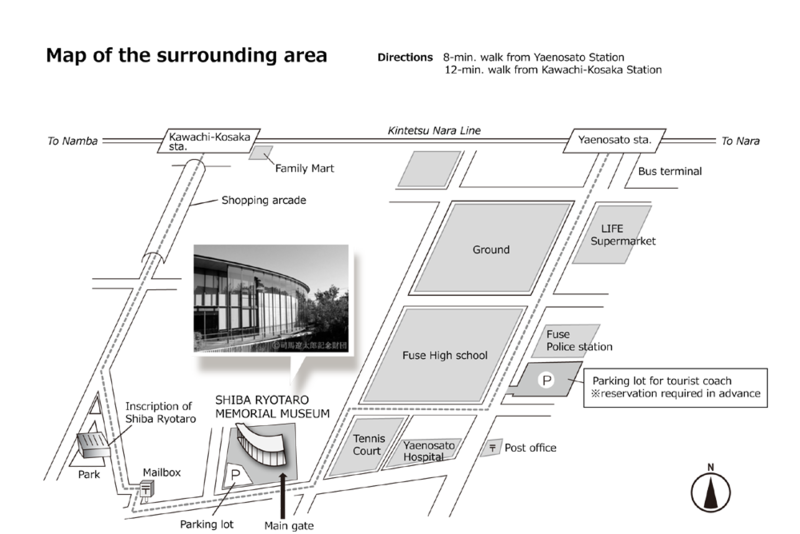 The new building was designed by Ando Tadao, a famous Japanese architect, to show the creative world of Shiba Ryotaro. Advance reservation is necessary when visiting in groups of 20 or more. Photos, mobile phones, drinking and eating are prohibited inside. He is one of Japan's best-known and loved authors, famous for his lively and insightful portrayals of historic personalities and events. He wrote a lot of historical novels and essays which are still widely read today. "Ryoma ga Yuku", "Sakanoue no Kumo", "Kaidou wo Yuku", "Kukai no Fukei", "Nanohana no Oki" etc. "The Last shogun", "Kukai the Universal", "To you who live in the 21st century", "Clouds above the Hill" etc. 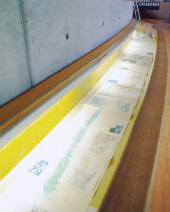 Established 1st, Nov, 1996.To convey the author's works and contribute to the culture of Japan we proceed many programs. This museum is one of our activities. We deeply appreciate you if we can get your support. This museum was designed by AndoTadao. Its appearance is well harmonized with the surrounding landscape. You can see many sketches and drawings by AndoTadao, and also photos of building process. It is a 1/100 scale model of this museum. Every detail is made to elaborate. Copyright© 司馬遼太郎記念館 All Rights Reserved.